I’m sure many people with far more knowledge of these things than me will attempt this over the next few days, but I couldn’t sign off for the night without looking at the reasons I think the reason election night has been such a disaster for Labour. 1. The Press – I’m putting this first because the bitterest of Labourites will be expecting to read about it first, as it will be what they are thinking about in the immediate aftermath. Had Ed Miliband won this election he would have been the first Prime Minister certainly in living memory to have entered Downing Street without having a debt to any newspaper editor. The full force of News International, the Mail Group and the Telegraph Group, all of them owned by non-domiciled proprietors, were unleashed against Miliband and his party. The key with the latter two would have been the amount of UKIP voters turned back to the Conservatives. A rebalancing of the rental market was reported as “rent controls”, and the bacon sandwich picture was thrown out whenever it could. The influence of the media is obviously still strong, and Miliband’s open fight against certain parts of it, particularly Rupert Murdoch, stiffened their resolve. 2. Ed Miliband – Yes, he had a great campaign. Yes, he began to seem more and more Prime Ministerial as time went on. But he was starting from such a low base that even at the end of the campaign he was still battling negative approval ratings. Ultimately, when people were in the polling booths, I wonder how many people just couldn’t bring themselves to put Ed Milband in Downing Street? The inability to hide obvious media training, the ability to look awkward even when he should be comfortable. 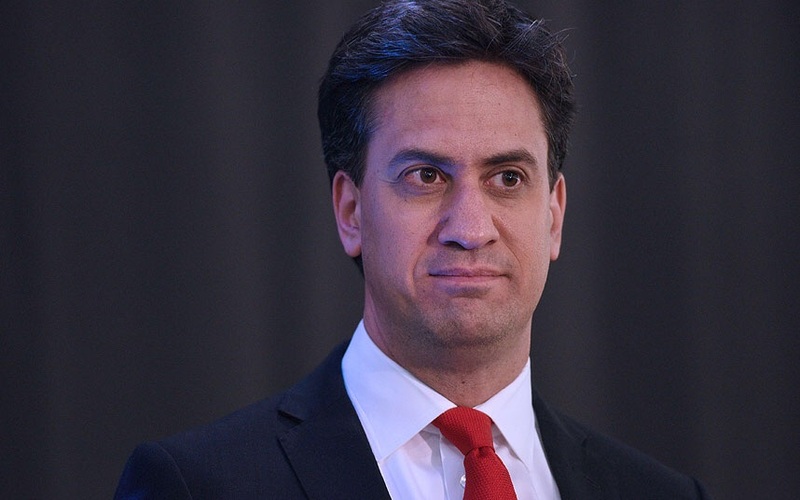 Would the people feel that the UK’s interests would be best served abroad with Ed Miliband representing them? How damaging was that ridiculous tombstone (‘EdStone’) that was unveiled to the bewilderment of even many Labour MPs? At some point it would be interesting to see polling data on the true effect of Ed. 3. The Policies – Although there is little doubt the party’s heart is in the right place, their policy prescriptions may have shown to many that they are capable of asking the right questions but not coming up with the right answers. The mansion tax and going back to 50% income tax for the highest earners were not necessarily bad plans, apart from the extent to which they wound up powerful people. The energy policy involving freezing prices in an industry that can’t control a lot of its’ costs could have frozen much needed investment. The clampdown on zero hours contracts may have cost jobs, particularly in industries with cyclical demand. The cap on potential profits for private healthcare providers may have extended waiting lists. There were just too many economic questions over the consequences of what they wanted to do. 4. The State of the Economy – it really might be the economy, stupid. Let’s look at the facts. It is very hard to compete against a party that has halved the deficit, produced growth of 3% a year, with zero inflation, and job creation of 2.2 million over the past five years. The job figures were the most important, given they were more that the rest of the EU put together. Yorkshire by itself had more new jobs than France. France, it is worth pointing out, has tried a similar set of policies to those Labour were accused of leaning towards. Many narratives were tried, involving the ‘losers’ in this economic recovery – those using food banks, those on zero hour contracts, the loss of productivity. Then Labour put fiscal responsibility front and centre of their manifesto, but the suspicion is that it was five years too early to win credibility on economic issues. Furthermore, the realisation that Labour might only be able to have power with SNP support put fiscal credibility even further away. The public seemed to have been persuaded to let the Conservatives continue, and now Labour are reduced to continuing to monitor that they keep their promises and not continue with policies that, like it or not, are genuinely hurting some very vulnerable people. 5. Scotland – The complete ajockalypse that has taken place north of the border is not just because the a Labour Party chose to align themselves with the ‘NO’ campaign in the referendum campaign. They could have allowed politicians to have a free choice on it, but that close to a general election may have decided that keeping the union, or being seen to keep the union, was more important. The real problem though was 30 years of effectively saying to the Scottish people “vote for us, we’re not the Tories”. The Scottish Labour Party should have been more independent of the central Labour Party, as the ascot tosh people were going more and more to the left and Labour didn’t follow them. The SNP, with no history of socialism, decided to run after those people and offer them what they wanted, which seems to be a society organised along much more redistributive lines, with more public spending too. They succeeded, and Scottish Labour went from 41 to 1 MP. Can they ever win Scotland back? I’m not sure any mainstream party can. It is Scotland that will be a bigger issues than almost anything else over the next five years, and there is little a Labour can do about it. I do agree with most of this Paul, though with a couple of small qualifications. Firstly – yes I’m bitter – though hopefully not ‘the bitterest of Labourites’ – but I think, even though you do acknowledge it, you underplay the influence of the hostile media. For 5 years now – and rising to a hysterical pitch in the weeks leading up to the election – the Tories have been able to peddle propaganda as ‘news’ to 85% of newspaper readers. Particularly in the final stages of the campaign the papers went with each day’s Tory campaign agenda – in the case of the Telegraph front page about the letter from small business leaders it was almost unmediated by the hand of a journalist! And hey presto – the scare-mongering was reflected in my conversations on doorsteps. Miliband as a hopeless leader who doesn’t look like a PM – or who is too left-wing (‘Stalinist’ and ‘class war zealot’ were Daily Mail front page terms last week) – and perhaps most damagingly the whipped-up fear of the Scots in the form of the SNP. That brings me on to Scotland – again, despite your acknowledgement I think you slightly under-emphasise just how big a factor the SNP and Sturgeon surge was on both sides of the border. Not only did they deprive Labour of about 50 previously safe seats (I’m not saying that Labour don’t bear a lot of responsibility for this) – but the spectre of them working with Labour, getting rid of Trident, another bid for breaking up the Union, and being fiscally irresponsible by rejecting uber-austerity etc. scared huge number of English voters away from voting Labour. I think this is one of the major reasons why a lot of disenchanted Lib Dem voters went Tory rather than Labour in England. You present ‘the facts’ on the economy – but I still think facts are selective and have to be fitted into an easy to understand ‘narrative’. the Tories have totally won this war and established the ‘narrative’ – helped enormously by the media and business/banking people of course. Labour weren’t able to make much of the fact that thanks to Osborne’s austerity the economy flatlined for the first few years and only started to pick up (albeit that most of us aren’t feeling it) about a year to 6 months before the election. How could it not? But people’s memories are very short when it comes to some things. So, to sum up – my impression on the doorsteps in Finchley and Golders Green was that the supposedly ‘positive’ campaign the Tories ran! in reality worked by whipping up fear. So many people I spoke to said they liked the local candidate but were worried about the SNP and Labour – or worried about Miliband not ‘looking like’ a statesman. we also faced the local issues whipped up by Mike Freer – again encouraging fear of the ‘mansion tax’ and fear of Labour Miliband being too sympathetic towards the Palestinians. The politics of selfishness and fear. How attractive. No wonder so many people couldn’t bring themselves to admit to opinion polls who they were really going to vote for. I think one factor that might come out later is voter registration. I know that some young people (probably not your pupils!) did not understand that they needed to register, or faced difficulties registering on line. My wife was at the polling booth and two voters faced difficulties because they thought they had registered but were not on the register itself. And one further thought about the media. Paxman – who is now apparently ‘out’ as a ‘One Nation Tory’ – savaged and demeaned Ed Miliband – (just as I remember him doing to Gordon Brown 5 years ago in a slightly more low profile interview for Newsnight). Of course he grilled Cameron too – but it wasn’t so personal or disrespectful. And in one of the key debates with questions from ‘the public’ – it appears that the BBC didn’t do a very good job of getting a balanced audience – with seasoned Tory members and activists masquerading as ‘undecided’ and ‘savaging’ Miliband.